Serving the Rome Georgia area. We are conveniently located off highway 411. Chulio Hills Health & Rehab is much more than your traditional nursing home. We provide high acute care in a comfortable and friendly home like setting, while still using the latest in technology and techniques. Chulio Hills is a 100 bed facility with private and semi-private rooms. We have RN’s, LPN’s, Nursing Assistants, and Respiratory Therapists who provide the highest quality care 24 hours a day, 7 days a week. We do our best to ensure our patients achieve and maintain their highest functional levels, reach clinical stability, and experience a higher quality of life. We also have an outstanding therapy program with Avery Rehabilitation whose services and therapists are available 7 days a week. Our experienced therapy team works with your loved one to ensure speedy and full recovery to home. Wound treatment. Chulio Hills has a wound treatment nurse seven days a week trained in the latest wound care and wound equipment. For example, Wound vac’s, and wound preventive measures. Physical, Occupational, and Speech Therapy. 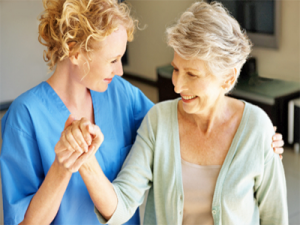 We understand how difficult a decision it is to place a loved one in a rehabilitation facility. While at Chulio Hills, our caring staff will be walking with you every step of the way through this journey because your family is our family. For additional Information, or to schedule a tour, please feel free to contact the facility at any time. Avery Rehabilitation Physical Therapy is concerned with the remediation of impairments and disabilities and the promotion of mobility, functional ability, quality of life and movement potential through examination, evaluation, diagnosis and physical intervention carried out by highly skilled physical therapists. Avery Partners Physical Therapy spends time researching, educating, consulting to find the best treatments for our patients. Avery Rehabilitation Occupational Therapy uses treatments to develop, recover on maintain the daily living and work skills of patients with a physical, mental or developmental condition. 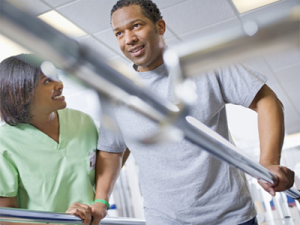 Avery Rehabilitation is a client-centered practice that places a premium in the progress toward the client’s goals. We focus on adapting the environment, modifying the task, teaching the skill and education the client/family in order to increase participation in and performance of daily activities, particularly those that are meaningful to the client. Avery Rehabilitation Speech and Language Therapy specialize in communication disorders as well as swallowing disorders. We provide a wide range of services, mainly on an individual basis, but also as support for individuals, families, support groups, and providing information for the general public.